We're backkkkkkkk! 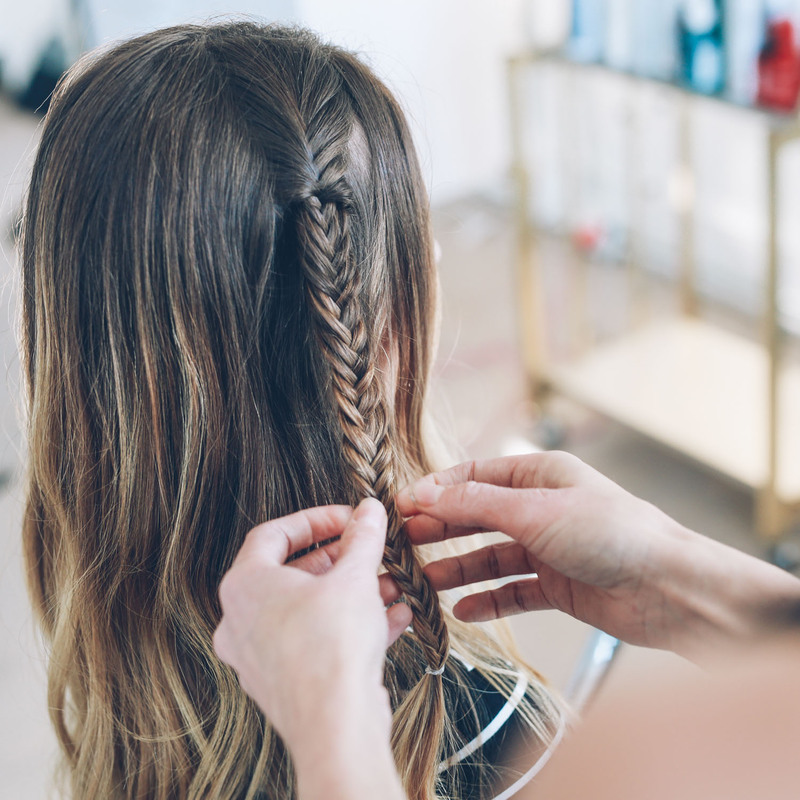 So excited to share this new half-up fishtail braid tutorial with Jennie Kay. This is definitely one I will be recreating myself. 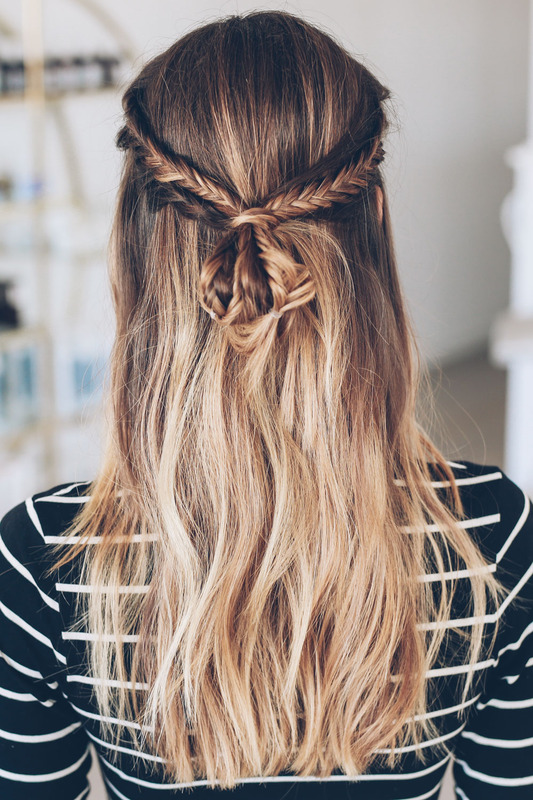 Such a gorgeous hairstyle that is stylish and easy to replicate. Scroll down for step by step instructions. 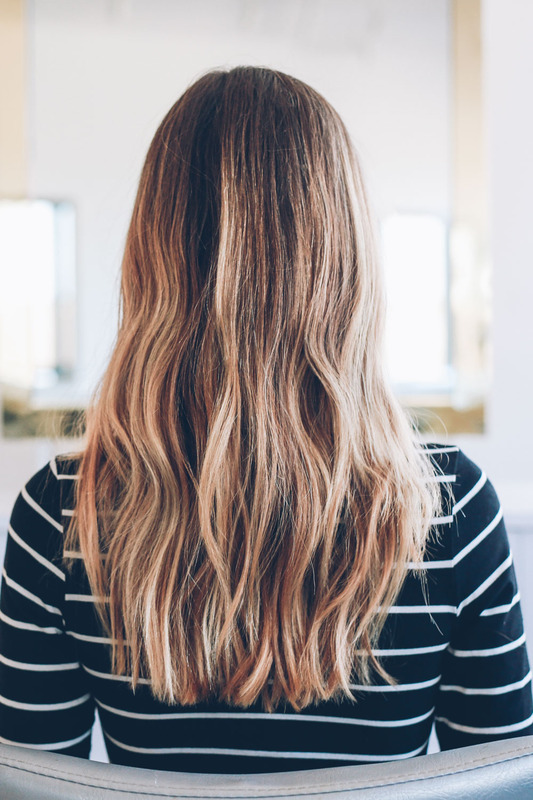 And if there are any hairstyles or tutorials you want to see let us know in the comments or get in touch with us on Instagram @jessannkirby and @jenniekaybeauty. 1. Prep hair by lightly waving with a 1 1/2 inch barrel. Jennie and I both use the t3 whirl trio. For a wave tutorial see here. 2. 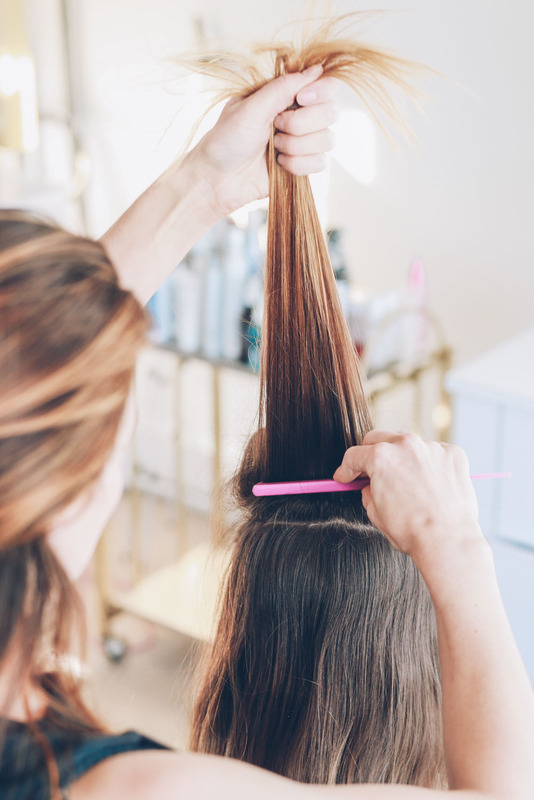 Starting at the back of your head near the crown tease 1-2 sections of the hair. Note: this is not required but will give you some volume. 3. 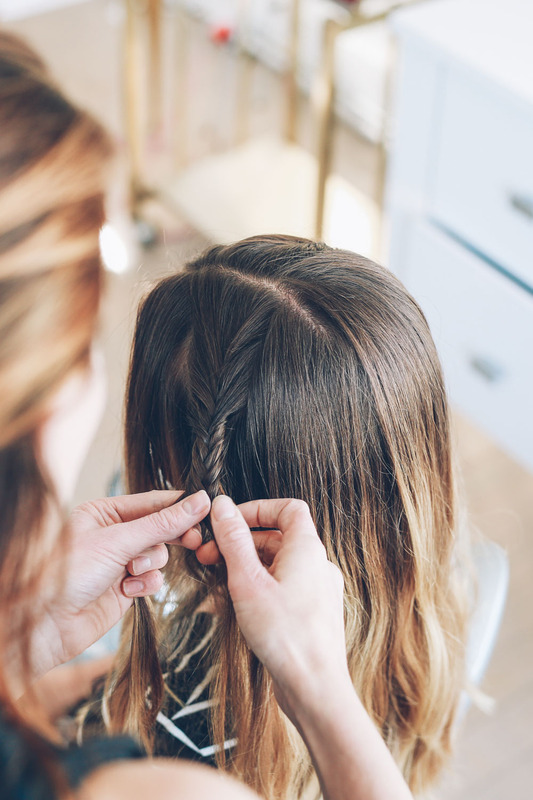 Leaving about a 1 inch section of hair in the front grab a 2 inch section of hair for the fishtail braid. 4. 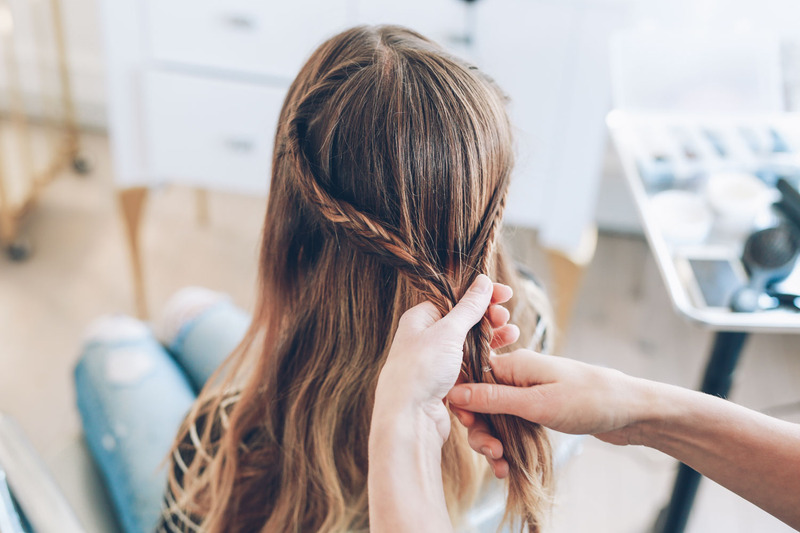 Create a fishtail braid with the 2 inch section of hair leaving about 1 inch at the bottom and secure with a clear elastic. 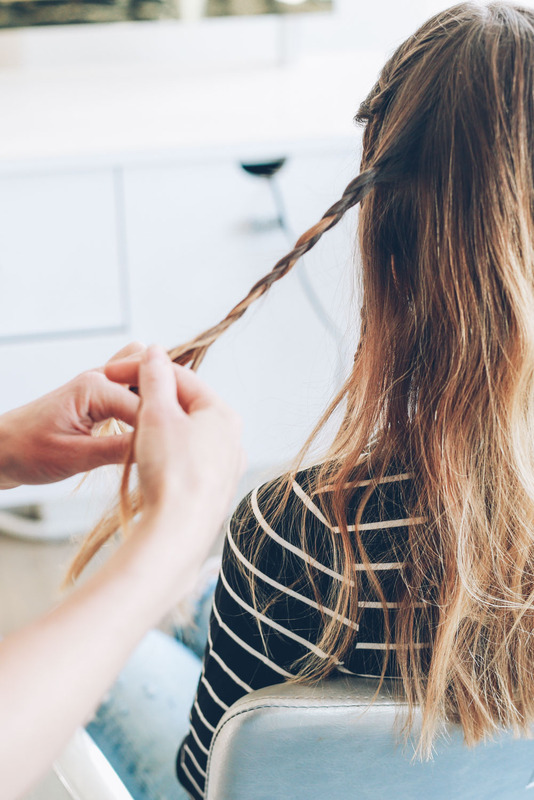 Gently pull on the braid from top to bottom to loosen slightly. 5. Repeat the previous step on the other side. 6. 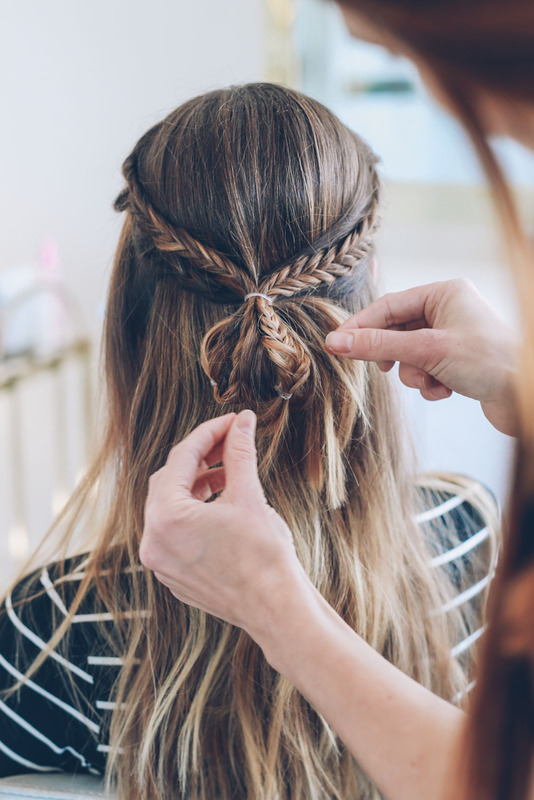 On one side, create a second braid with a 1-2 inch section of hair directly behind the first braid. 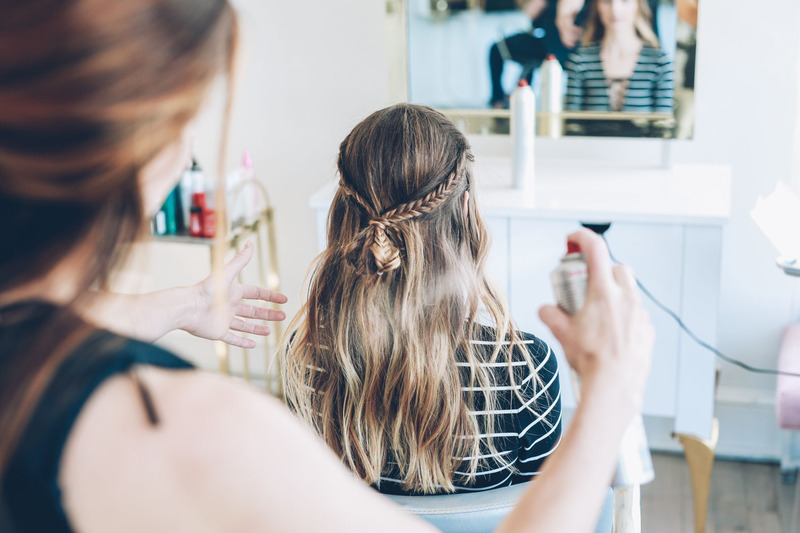 We did a regular braid here but you can also do a second fishtail braid. 7. Pull the braids back and secure in place with a clear elastic. 8. 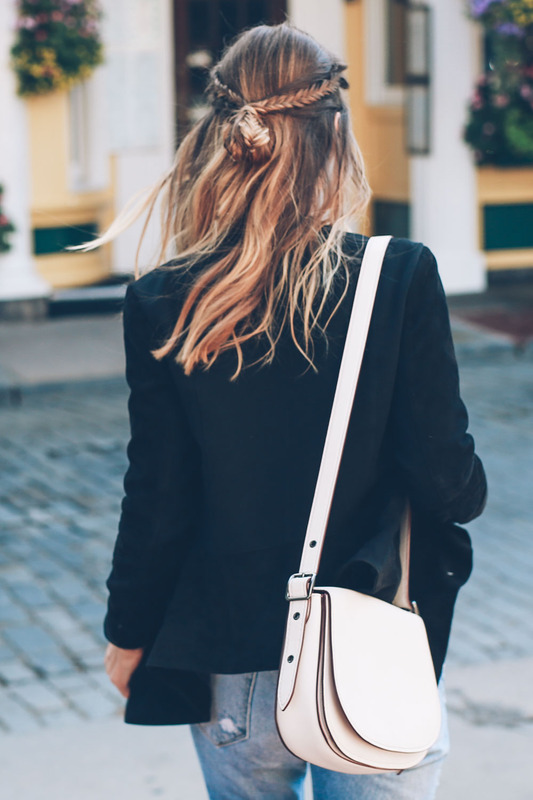 Pull the hair through the elastic as if you are going to make a ponytail but stop about halfway (so you are creating a bun). 9. 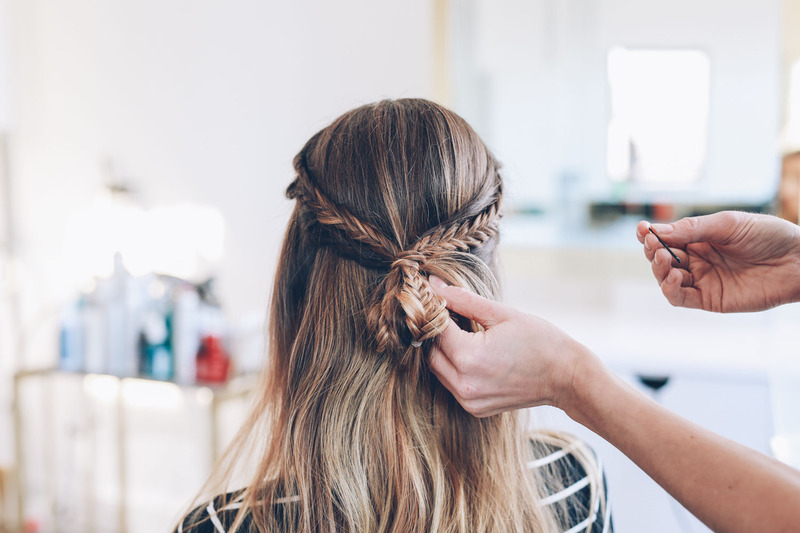 Grab a small section of hair from underneath the bun, wrap around the elastic and secure in place with a bobby pin. 10. 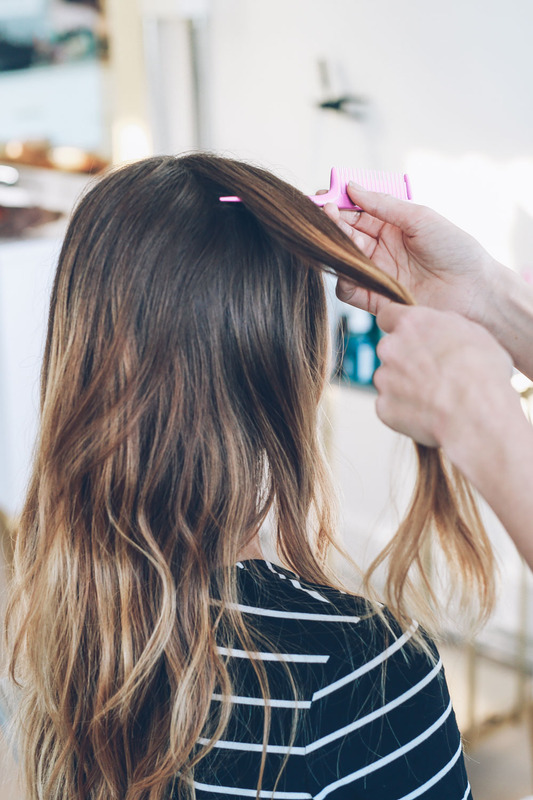 Use a shine spray to help reduce frizziness and secure in place.